Wild Card studios, the development team behind the game, has supplied a consistent flow of updates as well as a slew of DLC, all of which is available to buy at a variety of price points. As for the game itself, there are a number of purchasing options available, too. At the highest priced tier there is a pre-order exclusive that weighs in at a hefty $159.99, providing the game, all three pieces of previous DLC as well as two currently unannounced additions, leather-bound books, maps and more. The next option is an Explorer’s Edition that is offered for $99.99, which includes the base game as well as a season pass granting the three previously released DLC and the future two. Finally, the base game alone is now being offered for $59.99 in both physical and digital forms. Previously, the game was offered through Steam’s Early Access for $29.99 or digitally through both Xbox One and PlayStation 4 at $34.99. This new pricing may be a hard sell for Ark, as the dev team is essentially relaunching a two year old game and hoping to make all of the profit as though this is the first release it has seen. Whether or not this model works for Wild Card is to be seen. While the game’s life has been confined to early access thus far, with over 1 million purchases on PlayStation 4 and the average player count on Steam sitting in the tens of thousands, Ark: Survival Evolved has found a strong following even without an official release. 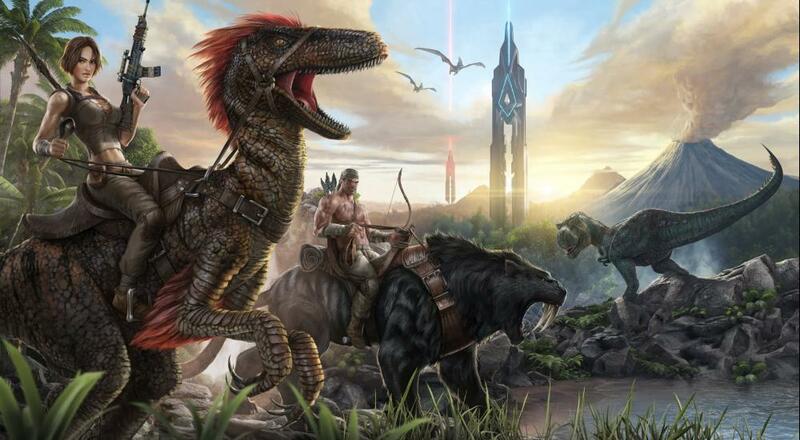 Will you be going back in time and into the mysterious land of Ark: Survival Evolved, or have you spent enough time gathering resources and garnering the affection of dinosaurs? Let us know in the comment section below.